The Foxes were 2-0 up in five minutes as Vardy ended his 10-game run without a Premier League goal by slotting home, and Andy King curled in moments later. It was 3-0 within 20 minutes as Vardy added another after skipping past visiting keeper Claudio Bravo, and he completed his hat-trick by intercepting a misplaced John Stones pass and finishing from a narrow angle. Aleksandar Kolarov, with a free-kick, and Nolito scored late consolation goals for the away side. They have now lost back-to-back league games for the first time since Pep Guardiola took over in the summer, and are four points adrift of leaders Arsenal. 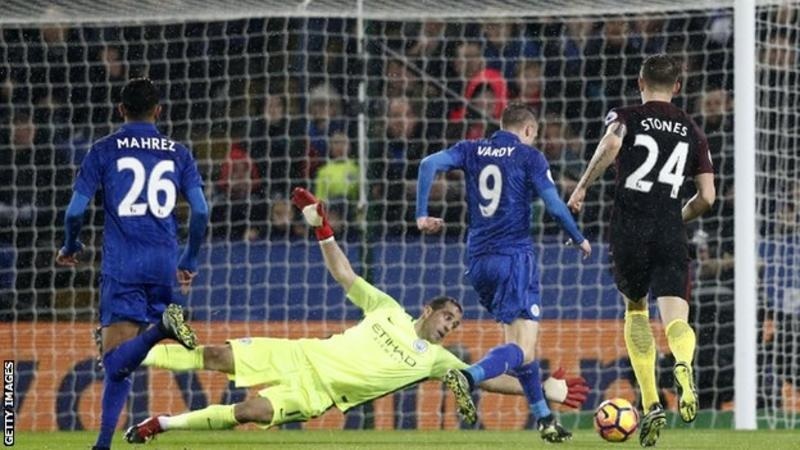 For defending champions Leicester, victory ended a five-game run without a league win and moved them up to 14th.